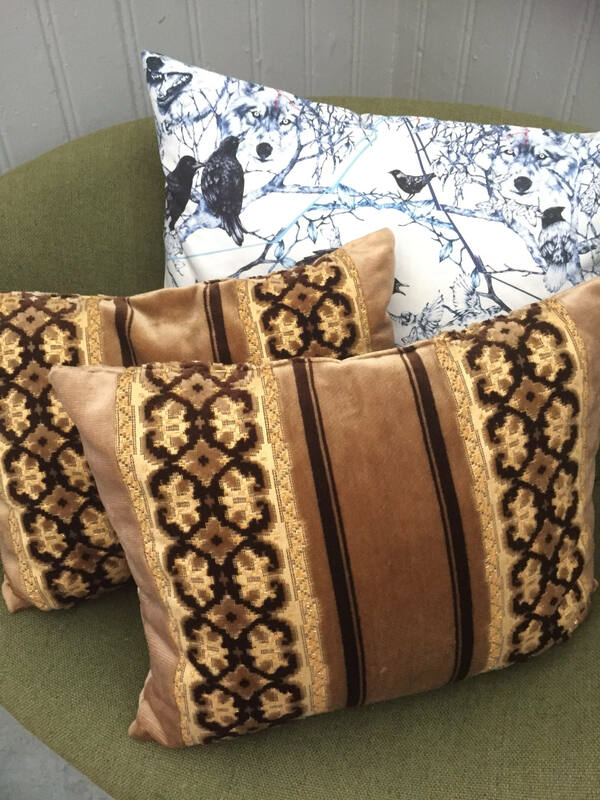 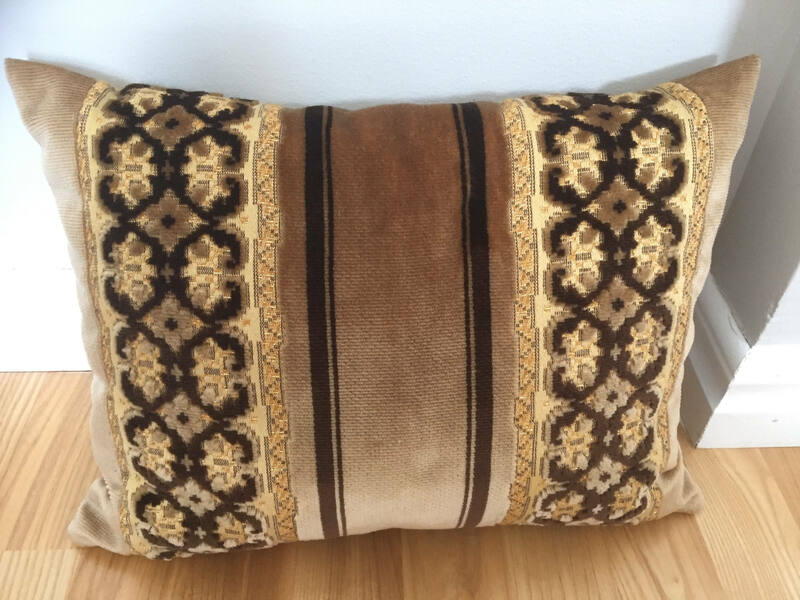 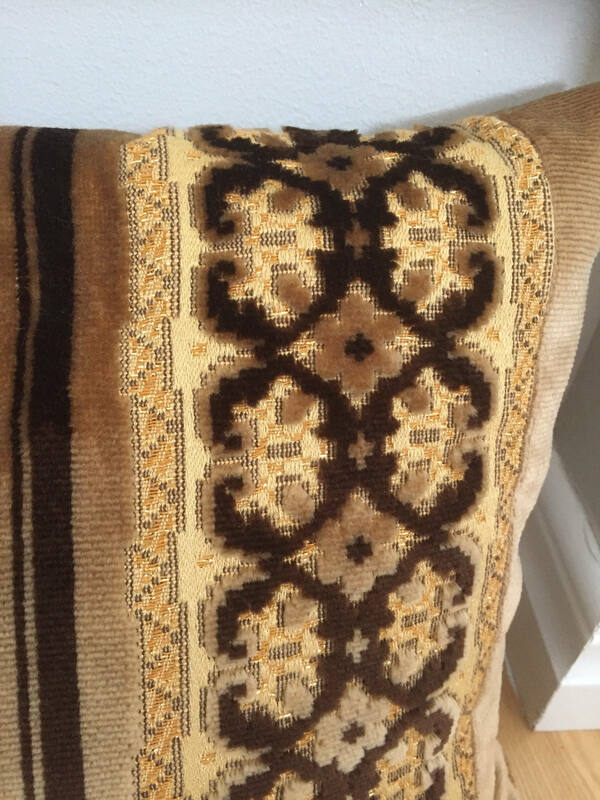 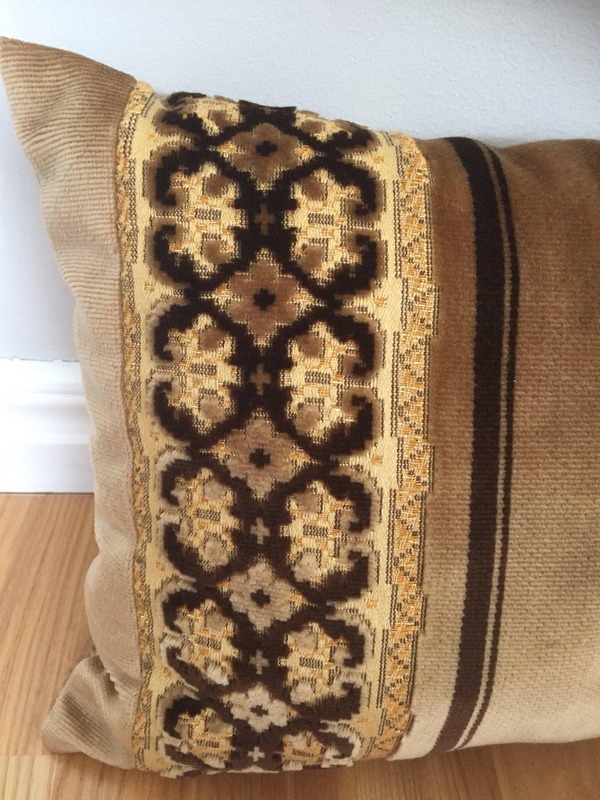 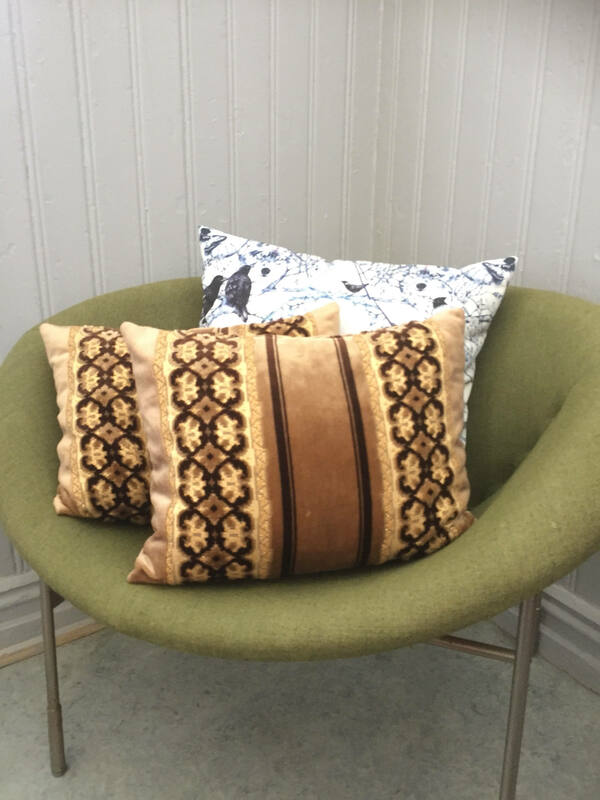 This is a pair of vintage velour glam decorative pillows in excellent condition. 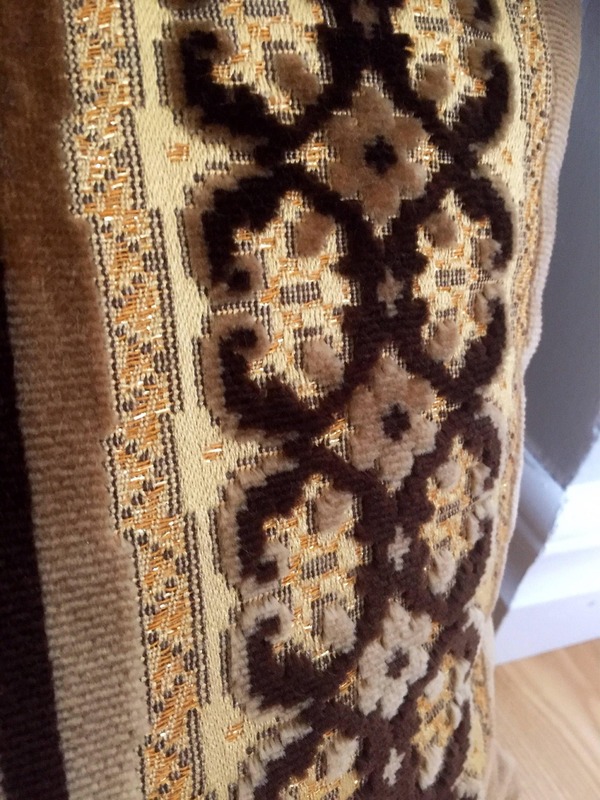 They are a golden caramel color with a chocolate brown accent pattern along an embroidered band. 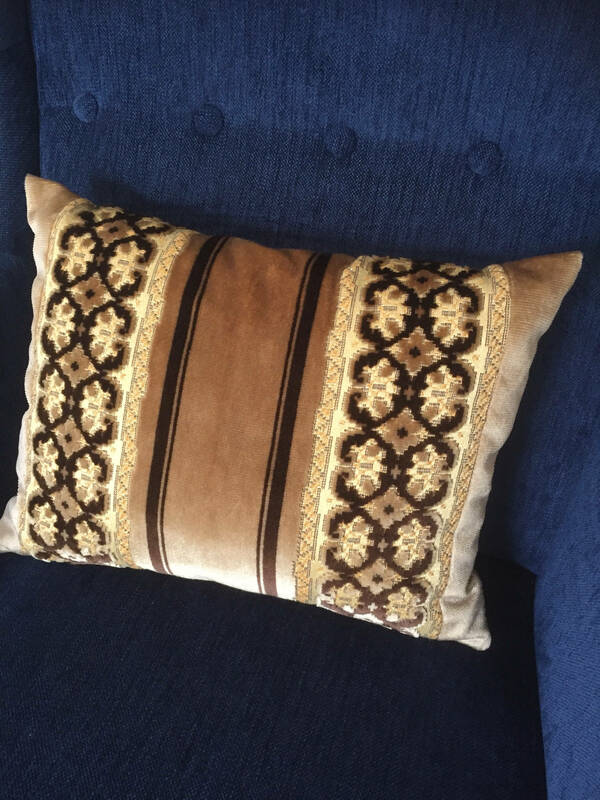 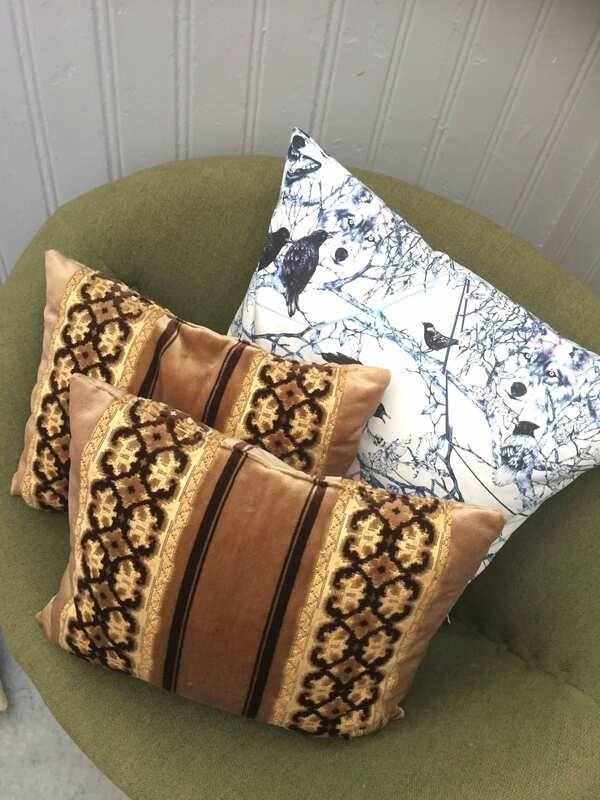 In the embroidery there is gold thread that gives the pillow a bit of sparkle when the light hits. 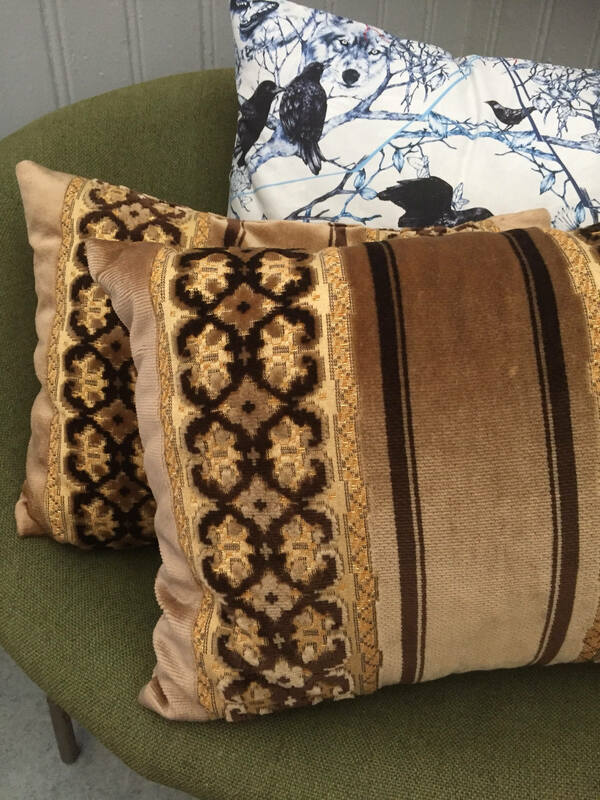 The are in excellent condition and will add some glam to any chair, sofa or bed.